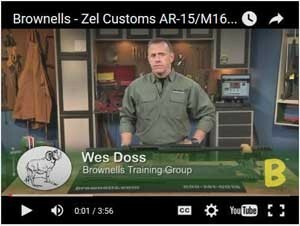 Zel Custom 50 BMG T2 AR15 Upper Receiver – In keeping with the theme of this site there is probably no more “Modular Rifle” than an AR15 so It seems fitting to include the category of Bolt Action Upper Receivers here. 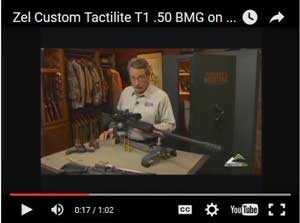 The Tactilite T2 is the premier magazine-fed upper. We achieve superior accuracy and durability by machining our receiver from hardened 4140 steel billet as a single, fully-integrated unit. Our barrels are center-turned and trued. The mag-well can be easily removed for convenient left-handed side loading and features an ergonomically designed spring-loaded release tab. The 7075 billet handguard is a unique hybrid quad/smooth design, that offers the combined benefits of a quad-rail and a smooth handguard. The Tactilite has a base finish of black nitride and a final finish of black CeraKote for a better looking and more durable finish. 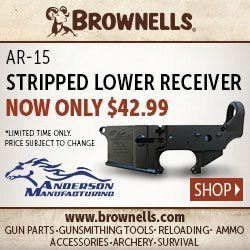 Receiver machined as a single piece from hardened steel billet – No welds! Fully-Integrated Receiver: 4140 steel bar, hardened to +/- 42 R.C. Bolt Head: 4340 steel bar, hardened to +/- 42 R.C. Hammer: 1018 steel, hardened to +/- 42 R.C. 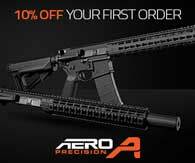 AR-style rifles with straight pull actions that are legal in all 13 original Colonies. Charging handle can be disassembled and used as a driver for scopes and rail accessories. 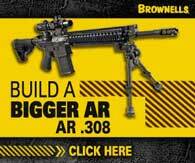 Built around longer 18.5-inch fluted barrel with a nitride finish and toothed 3-chamber muzzle brake. Polygonal 5R rifling. Enhanced E2 chamber which is a fluted chamber that channels a small amount of gas around the neck and shoulder of the cartridge to assist with extraction. Push-pull extraction system reduces wear on the extractor and ensures longer life of the critical part. 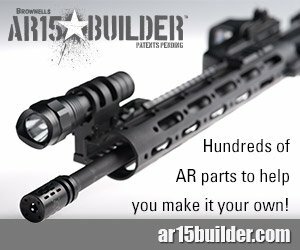 Free-floating 14.5-inch handguard which has a raised receiver extension that clamps onto the flattop rail for a continuous optics mounting platform. Handguard sports a small forward rail for shooters who prefer iron sights and features the latest M-Lok modular accessory mounting system by Magpul. Magpul pistol grip and Luth-AR adjustable target buttstock. Receivers and bolt carrier group have slick NP3 nickel plating. To make the rifle compatible with laws in all 50 states the upper uses a captured front takedown pin. Pin lets the upper rotate from the lower for maintenance while preventing taking the upper off without tools. 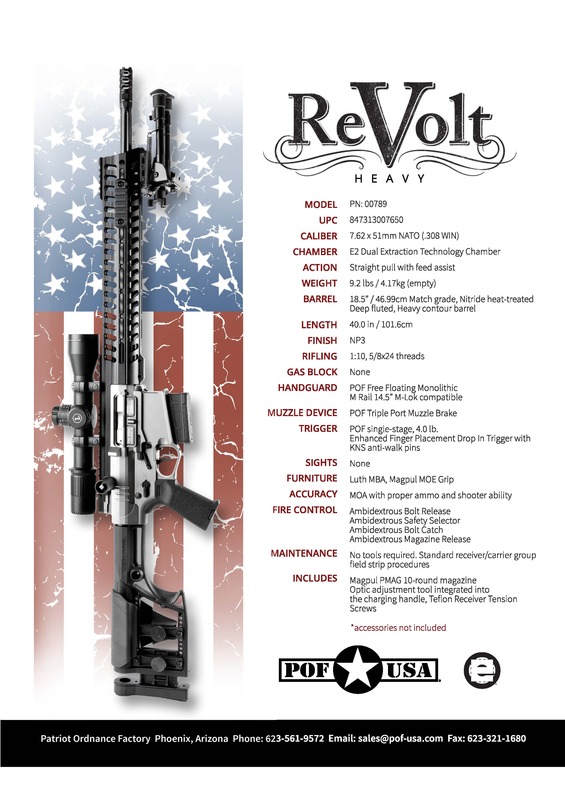 Part AR-15, part bolt-action, all POF-USA. 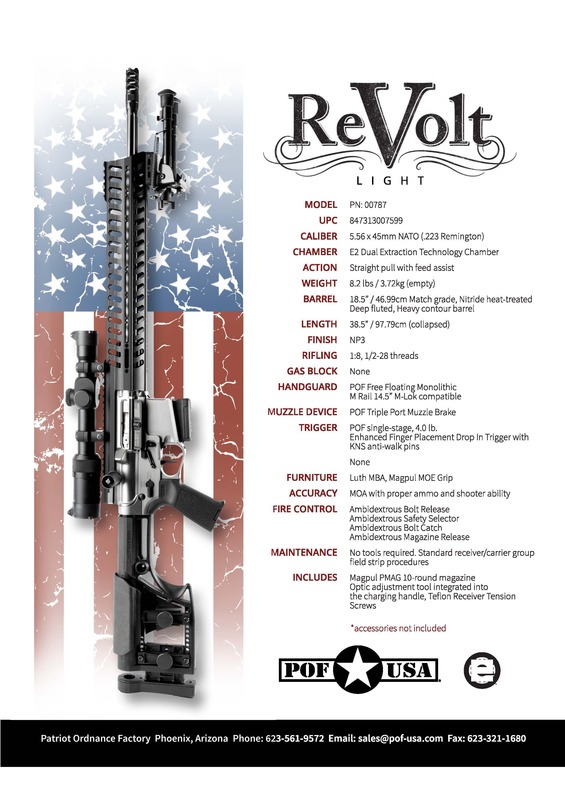 The NEW POF ReVolt LIGHT Bolt-Action rifles feature our Gen 4 ambidextrous controls, innovative bolt-action design, and our M-LOK compatible M Rail. 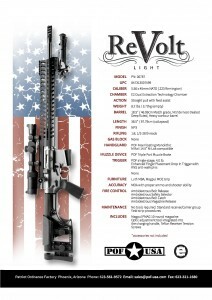 The ReVolt™ shares the look and fire control operations that you are used to. Minimize your training time, maximize your efficiency. 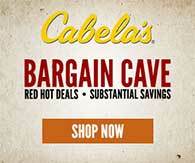 Pure POF-USA quality and performance, purpose-built for those demanding more out of their bolt-action rifles. A perfect choice for hunters and Law Enforcement; and with the change to a captive pin at the factory it’s legal in all 13 Colonies – even where the Tories live. Charging handle can be disassembled and used as a driver for scopes and rail accessories. 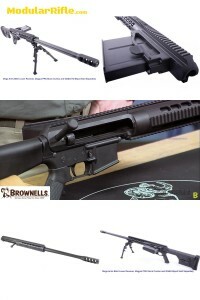 Built around longer 18.5-inch fluted barrel with a nitride finish and toothed 3-chamber muzzle brake. Polygonal 5R rifling. Enhanced E2 chamber which is a fluted chamber that channels a small amount of gas around the neck and shoulder of the cartridge to assist with extraction. Push-pull extraction system reduces wear on the extractor and ensures longer life of the critical part. 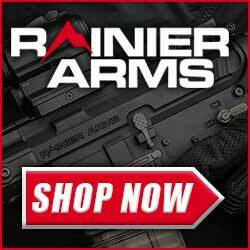 Free-floating 14.5-inch handguard which has a raised receiver extension that clamps onto the flattop rail for a continuous optics mounting platform. Handguard sports a small forward rail for shooters who prefer iron sights and features the latest M-Lok modular accessory mounting system by Magpul. Magpul pistol grip and Luth-AR adjustable target buttstock. Receivers and bolt carrier group have slick NP3 nickel plating. 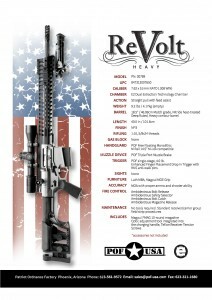 To make the rifle compatible with laws in all 50 states the upper uses a captured front takedown pin. Pin lets the upper rotate from the lower for maintenance while preventing taking the upper off without tools.